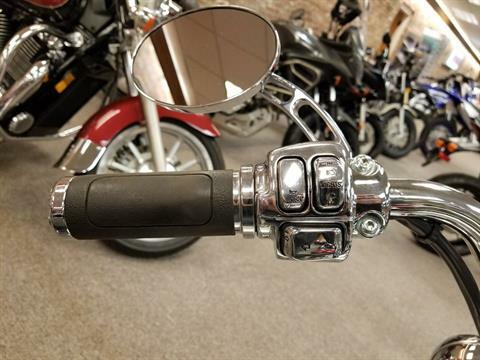 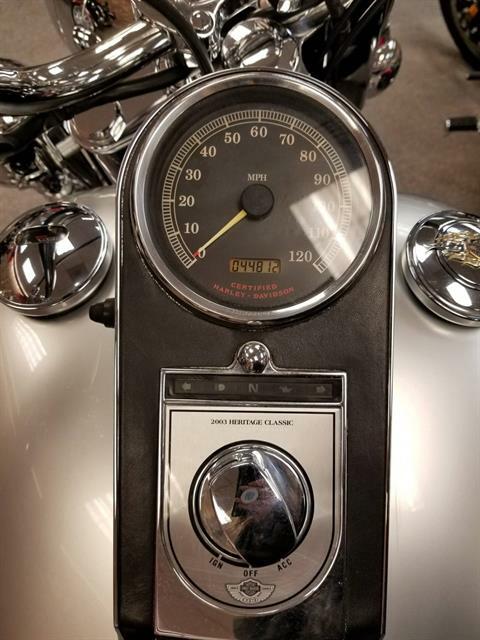 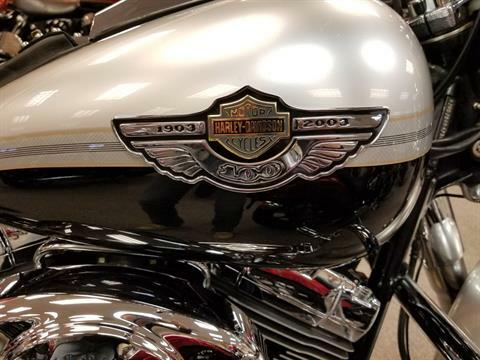 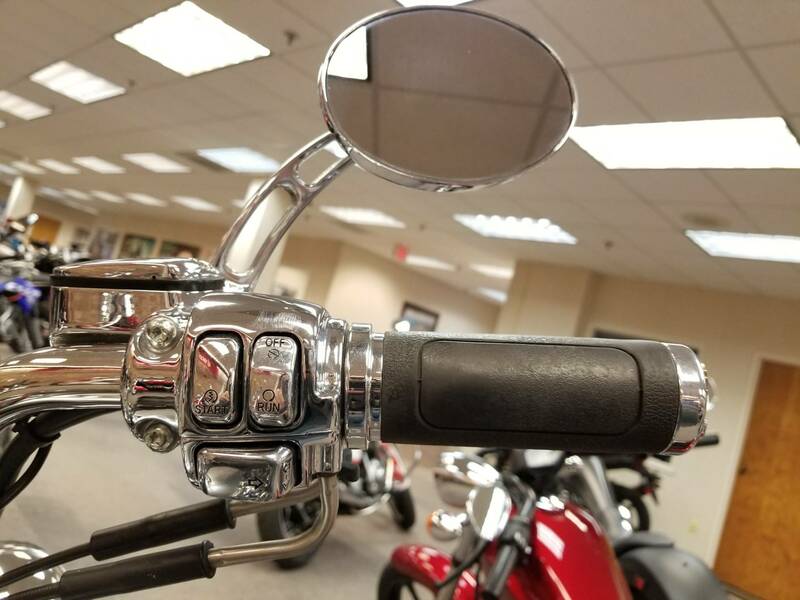 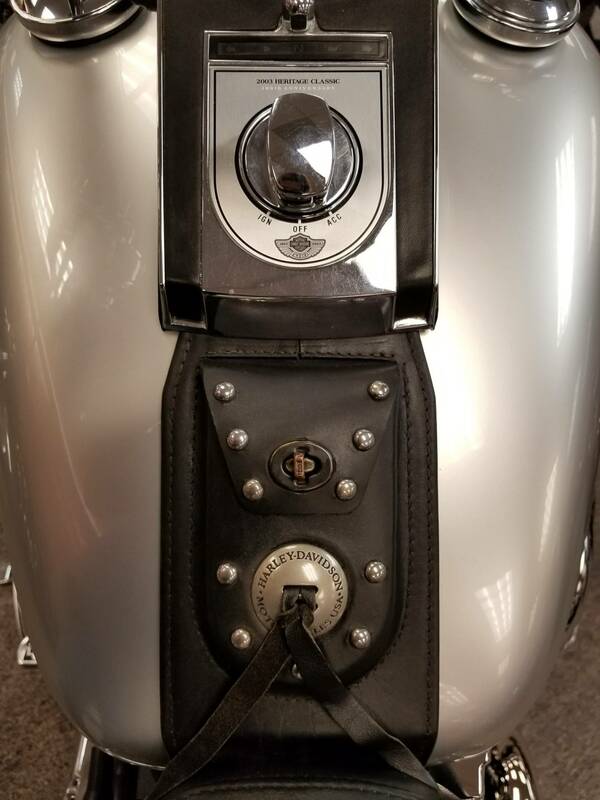 100th Anniversary FLSTC/FLSTCI Heritage Softail® Classic Coming at you head on, you might think a vintage Hydra-Glide™ is rolling your way. 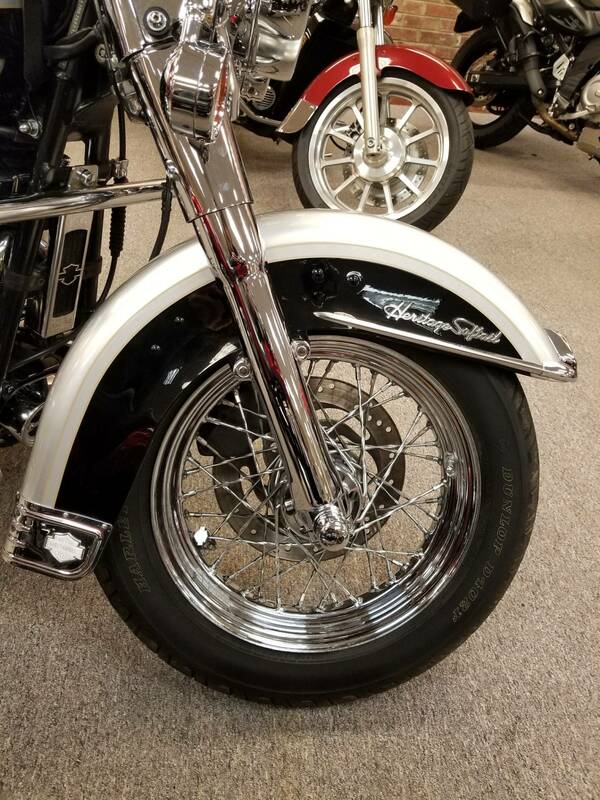 With husky fork tubes, massive fenders, detachable windshield, passing lamps and bowling ball-sized headlight. 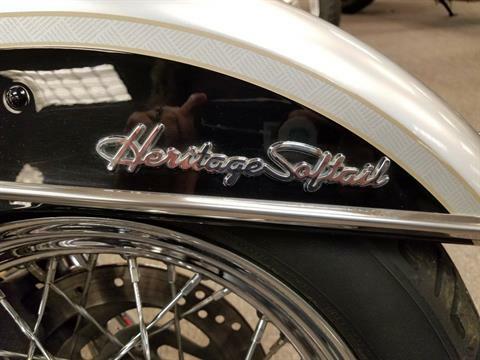 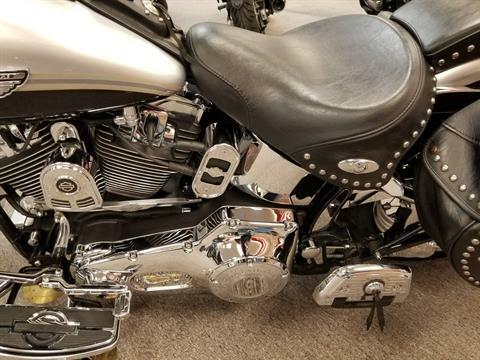 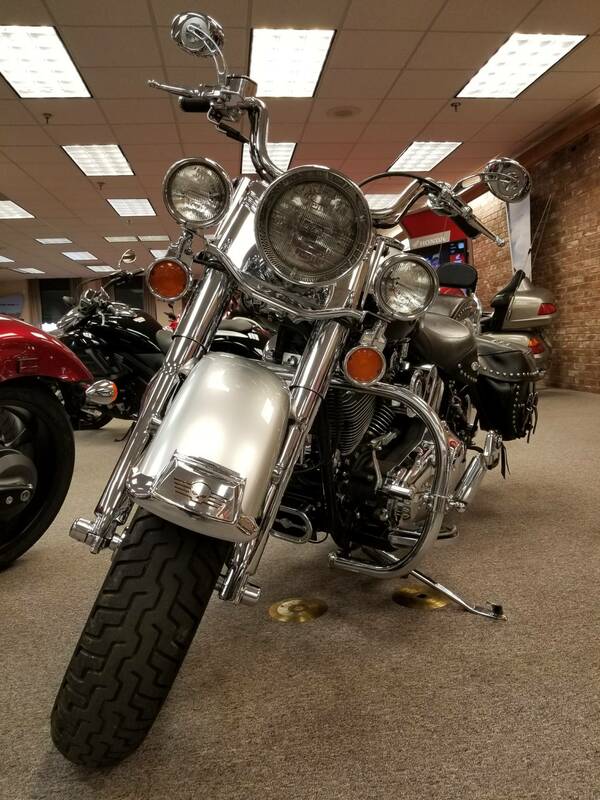 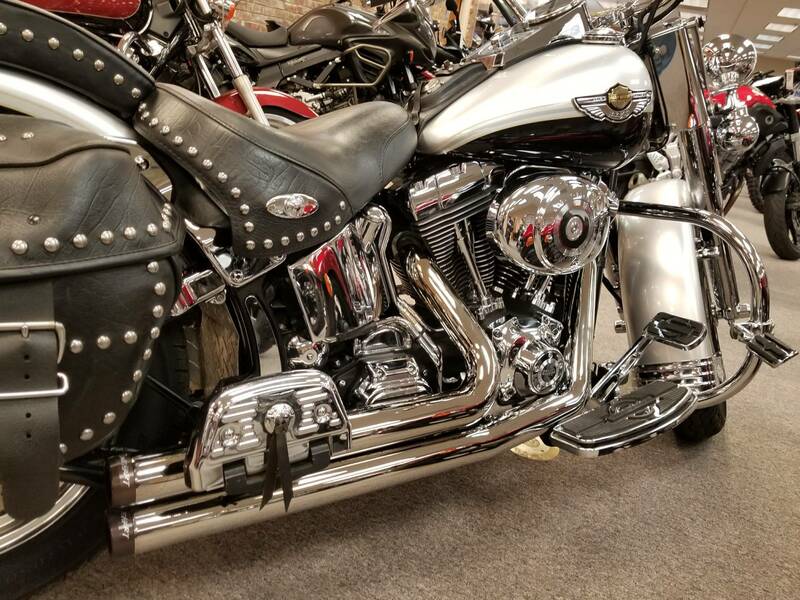 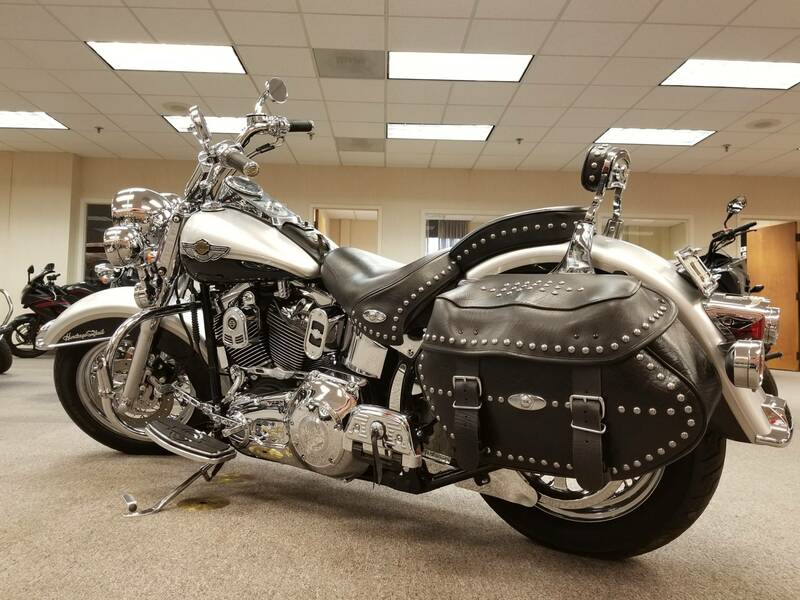 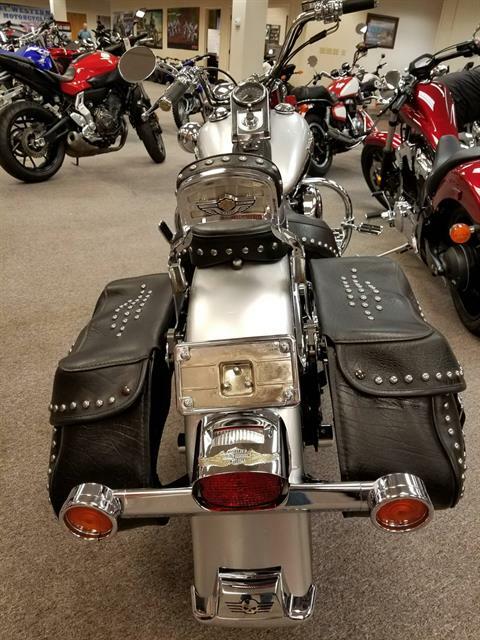 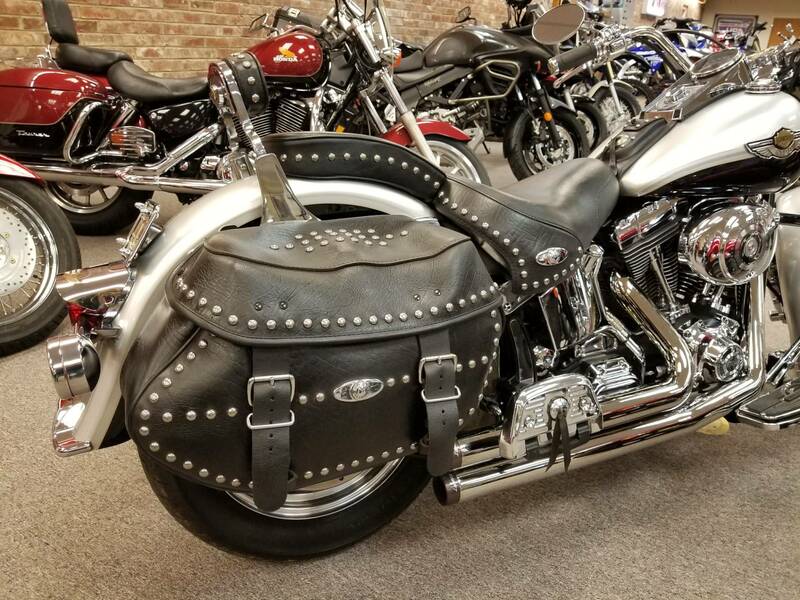 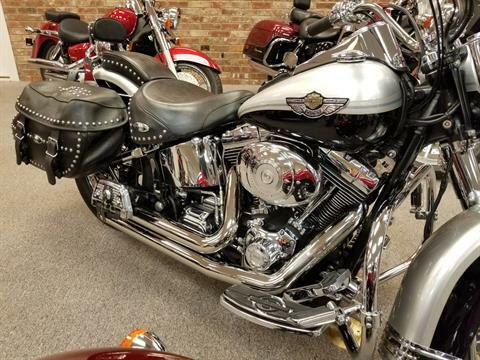 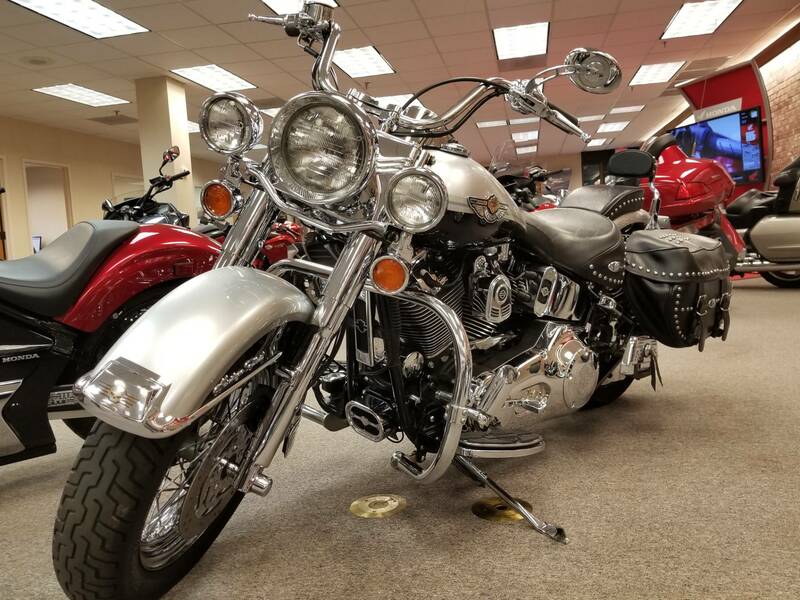 But the Heritage Softail® Classic, under its spectacular Anniversary finish, is built with some of the finest, modern-day H-D® engineering. True, it's loaded with classic style, like studded leather bags and thick chrome. 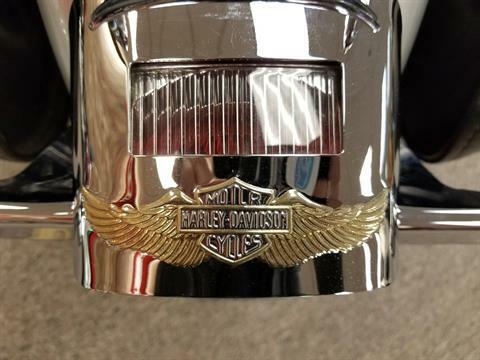 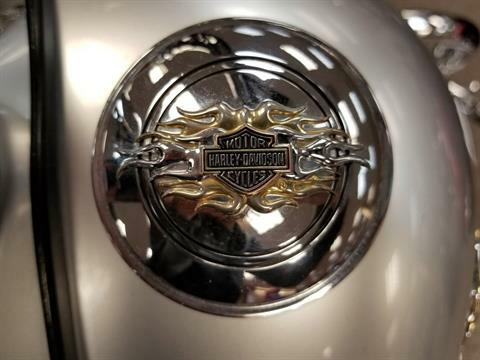 But look closer to see where Harley® motorcycles have come in 100 years. 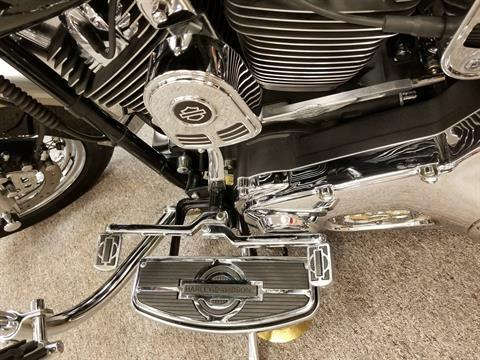 The Twin Cam 88B™ engine, with carb or EFI, is counterbalanced for smoothness. A hidden rear suspension soaks up the bumps. With yesterday and today getting along so well, no wonder it's one of our most sought-after models ever. 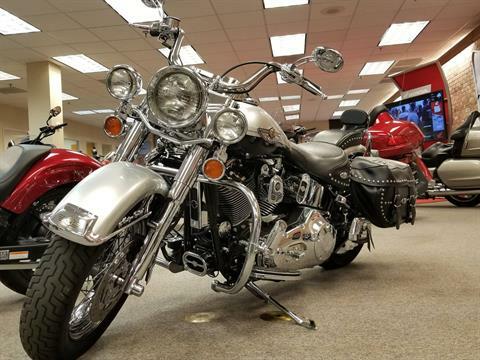 * MSRP may not reflect vehicle shown. See Additional Features for specific color/option pricing.